Aerospace Engineering deals with design and development of aircrafts, launch vehicles, and spacecrafts. Unlike most traditional ground based systems, optimality and reliability are of paramount importance in such systems. This necessitates accurate theoretical and experimental analyzes of a variety of phenomena, and performance predictions of a variety of complex systems. 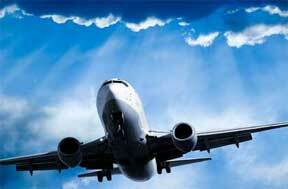 Aerospace Engineering is the discipline which is closest to what is popularly known as “Rocket Science”. Four broad sub-disciplines under Aerospace Engineering are (a) Aerodynamics and Flight Mechanics, (b) Thermal and Propulsion, (c) Design and Structures, and (d) Materials and Manufacturing. At the B.Tech. level they teach basic courses like Mechanics, Solid Mechanics, Fluid Mechanics, Thermodynamics, Heat Transfer and Materials Science, and applied courses like Aerodynamics, Gas Dynamics, Propulsion, Atmospheric and Spaceflight Mechanics, Theory of Machines, Aerospace Structures, and Manufacturing Processes. M.Tech. course would impart rigorous foundations and in depth knowledge through more advanced courses. Ph.D. scholars are engaged in solving open problems, contributing to the growth of knowledge in Aerospace Engineering and related areas. Graduates of Aerospace Engineering are equipped to undertake challenging work in the Aerospace Engineering Industry, on crucial aspects like propulsion systems, aerodynamic design, structural systems, precision manufacturing, etc. Most of them would join the Indian Space Research Organization and contribute to the national space programme. They could also take up jobs outside ISRO, in entities like HAL, DRDOs, and ancillary industries related to the Aerospace sector. Having undergone most courses a Mechanical Engineering graduate would, they can also take up jobs in the automotive sector, Power sector, Manufacturing sector, R&D organizations, etc. Aeronautical/ aerospace engineering courses at the BE/ B.Tech. and M.Tech. level are offered only by a few institutions or colleges in India. The Indian Institutes of Technology (IITs) are among the best centres that offer a four-year fulltime B.Tech. degree in aerospace engineering. The discipline is available in the IITs in Chennai, Mumbai, Kanpur and Kharagpur. A five-year M.Tech. dual degree course in the discipline is also offered by the four IITs. The admission to these courses is based on an all India level IIT joint entrance examination conducted every year across the country. In Kerala, Kochi, Thiruvananthapuram, Kozhikode and Thrissur will be the test centres. The entrance test will consist of two papers of three-hour duration. Paper I and II will each have three separate sections on physics, chemistry, and mathematics. Both papers will be of objective type, and is designed to test the comprehension and analytical abilities of students. Students who have passed their Plus Two examination with at least 60 per cent marks in aggregate are eligible to apply. The entrance test is conducted every year in April. More details about the course can be collected from the web site of IITs — IIT Madras (www.iitm.ac.in), IIT Bombay (www.iitb.ac.in), IIT Kanpur (www.iitk.ac.in) and Kharagpur (www.iitkgp.ernet.in). SRM University, Kattamkulathur, Kancheepuram district, Tamil Nadu. Web site: www.srmuniv.ac.in. Noorul Islam University, Kumaracoil, Thuckaly, Kanyakumari, Tamil Nadu. Web site: www.niceindia.com. Hindustan College of Engineering and Technology, Coimbatore. Web site: www.hindustan.net. Hindustan College of Engineering, Chennai. Web site: www.hindustancollege.edu. Mohammed Sathak Engineering College, Kailakarai, Tamil Nadu. Web site: www.mohammedsathak.eng.ac.in. Park College of Engineering and Technology, Coimbatore.